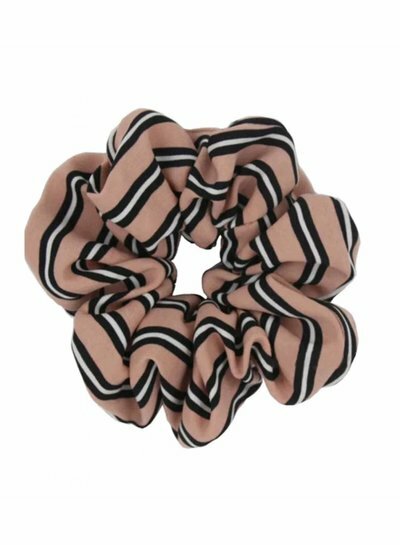 Scrunchie in a retro style! 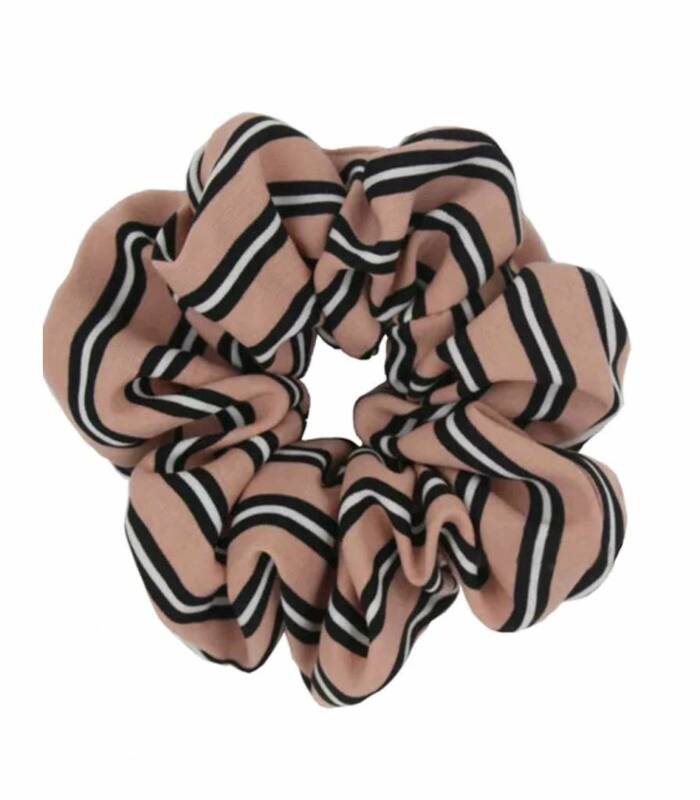 Pink scrunchie of non translucent chiffon with white and black stripes. 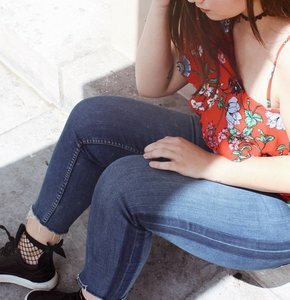 Colors: Pink, white and black.